Attorney David Snell has represented thousands of injured and disabled clients since 1990. David’s practice focuses on the management and litigation of personal injury and workers’ compensation cases. Additionally, he frequently serves as an arbitrator for personal injury matters arising in Pierce, King, Thurston, and Kitsap Counties. David has earned an AV Preeminent Peer Review Rating from Martindale-Hubbell, the highest rating given for legal ability and ethical standards by this company. 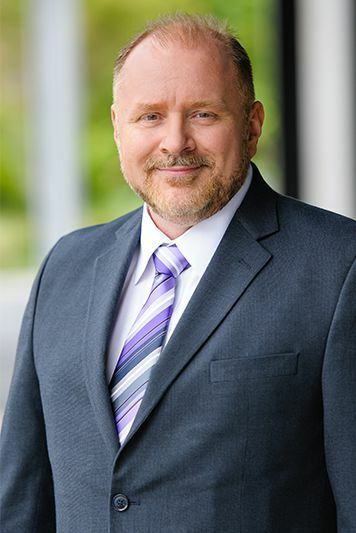 He has been active in the Tacoma/Pierce County Bar Association, serving as the 80th President of the Association from 2009-2010, and serving at various times as the Editor of the TPCBA Bar News, a vice-president, a trustee, and a chair for various committees. David is also an EAGLE member of the Washington State Association for Justice. Over the past 25 years, I’ve had the privilege of representing thousands of clients injured at work or through the negligence of others. One aspect I understand well is that accidents affect not only the person injured but also the person’s entire family. I take the time to listen to clients. I understand the sense of betrayal workers feel after they give everything to their job and then are abandoned by their company when they are hurt. I see the frustration when claims administrators treat workers unfairly in an effort to save money. I stand with injured workers and take whatever legal action is necessary to seek full compensation and benefits for them. I devote this same level of tenacity in seeking full compensation for clients injured in non-workplace accidents, such as car wrecks. Regardless of how your injury occurred, I invite you to call our firm to learn how we may be able to help. David serves as trustee and former treasurer of Brooklake Community Church in Federal Way, chaired the Fife Civil Service Commission, and was a commissioner for several years. David especially enjoys the outdoors and traveling with his three children.